After making Tomato Crostini and Whipped Feta for lunch, Ina learns the secrets of Thomas Keller's Buttermilk Fried Chicken. 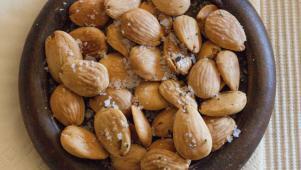 Thyme Roasted Marcona Almonds are the perfect snack for Cocktail Time, but will Ina have mixologist Jon Gasparini's Napa Spritz or Basil Gimlet? 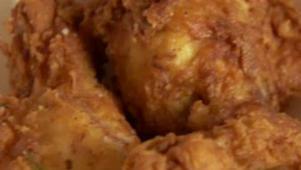 In Napa, Ina learns the secret to Thomas Keller's buttermilk fried chicken. 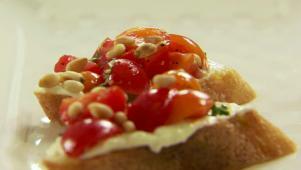 Ina uses fresh thyme from the garden to make thyme-roasted Marcona almonds.